We've all heard the rumors that year after year swirl around that Facebook was rumored to be working on a dislike button — a blue thumbs down button to counter the ubiquitous blue thumbs up that has become a significant part of our pop-culture. Now, it’s finally here, and guess what it’s not anything like you'd expect and certainly not as simple as choosing between like and dislike. Starting today, Facebook will begin running a very limited test of a new feature the social media giant is calling "Reactions" or a new button that will allow users of its mobile app to respond with a corresponding emoji to express additional emotions beyond Facebook's iconic "Like" button (the thumbs-up). These new 'reactions' include: "Love," "Haha," "Yay," "Wow," "Sad," and "Angry," and they can only be accessed on the mobile version of Facebook by "long-pressing" or hovering over the good old "Like" button. Facebook didn't just choose these new emotions randomly, of course. As Facebook's chief product officer Chris Cox explains in a post introducing the new feature (with video embedded below). Testing for the new 'dislike' or reactions emojis is currently limited to mobile users in Spain and Ireland, why there it is unclear, however Facebook says the feature will eventually be expanded to all users, though no timeline has been given for when. 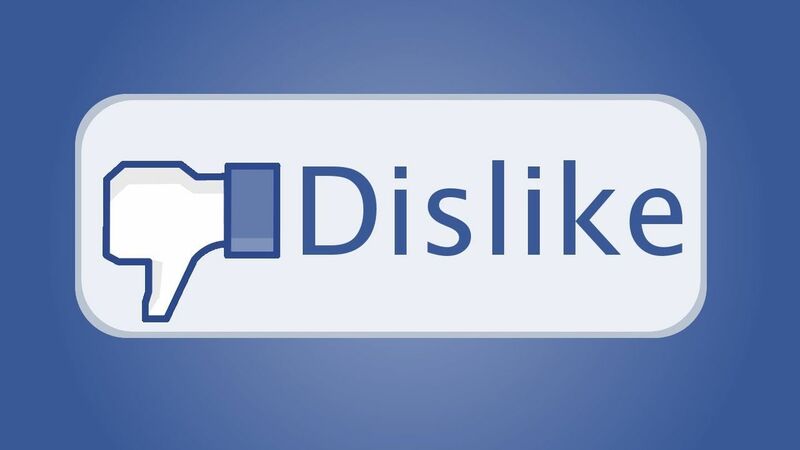 On the face of it this might seem like a slap in the face for those that wanted an actual 'Dislike' button, but we all know that Facebook wasn't too likely to add tools that make it easier for users to berate one another, harass others or in anyway disapprove of advertisers. They definitly wouldn't want to open that can of worms! The move should be encouraging though as it does show at least some form of an acknowledgment by Facebook that the omnipresent "Like" button is not without flaws and that the fact that users have made it clear that it is profoundly limiting when it comes to the actual emotions people want to share hasn't fallen on deaf ears. So we can see this as some sort of minimalist victory that Facebook understand that posts about personal disappointments, annoyances, illnesses, tragedies, frustrations, or other challenges in life have never been a good fit for the "Like" button and that some changes need to be made!